USB flash drives have come really come a long way, from the days of having managing to store data files in Megabytes to being able to store Gigabytes of personal data. It's relative small size and cost has made it almost ubiquitous with everyone from schoolers to bankers all owning one. With the current trends in data storage, the humble USB flash drive might replace external hard drives for handling large volumes of data. At CES, Kingston announced the DataTraveler Ultimate GT, a USB flash drive that offers 2TB of storage which is twice the amount of storage that my laptop can hold. The DataTraveler Ultimate GT (that's a mouth full) is made out of zinc-alloy for improved durability, and the storage capacity is big enough to hold over 300 HD quality movies. 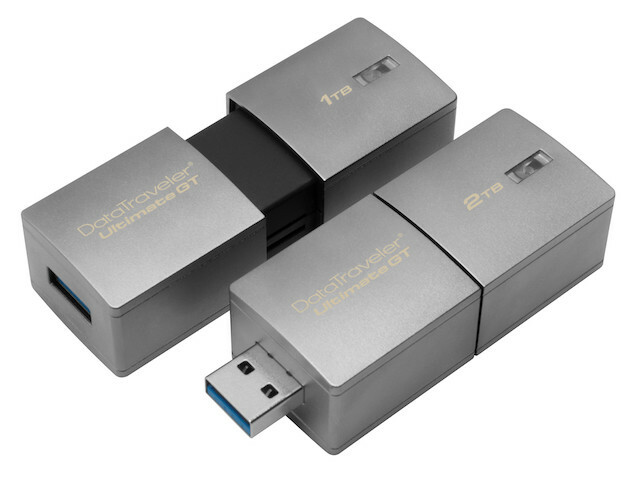 The DataTraveler Ultimate GT is available in either 1TB or 2TB options. Kingston has yet to announce the pricing for the DataTraveler Ultimate GT.